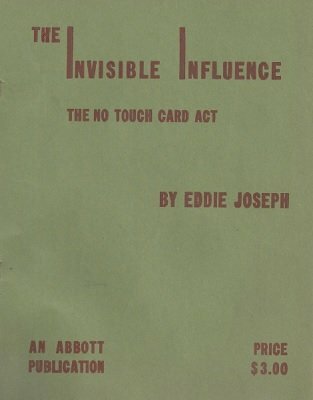 This ebook contains an incredible 6 phase card routine where you do not touch the cards. If you are looking to show something that has not been seen in years, take a look at this incredible routine. Eddie works everything out for you and the instructions are very detailed.